Hear from our students and families about their CollegeVine experiences. We take pride in delivering outstanding services to our students and families. With 91% of our families willing to recommend our services, we get great feedback from our students and families. See some reviews from happy students and parents about our SAT tutoring, College Application Guidance and Mentorship Programs below. If you would like to share your experience, feel free to contact us. 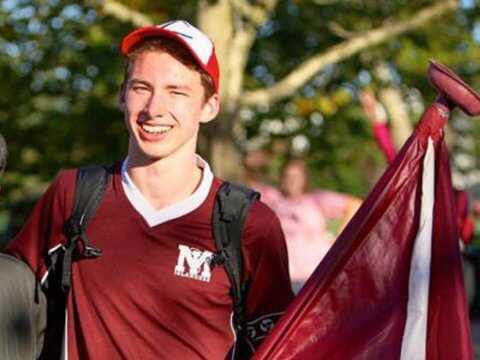 One of our students, Luke Kenworthy, was featured in Business Insider for getting into 7 out of 8 Ivy League schools. In the article, he details his experience working on his college essays with CollegeVine. "After he was deferred from early action at Harvard, he felt compelled to change his essay topic. He worked with a mentor at CollegeVine— a junior at Duke University majoring in biochemical engineering — to improve his essay. Kenworthy chose to write about a deeply personal childhood experience. 'To write an essay like that was a little bit weird for me, but also was very important to me, too,' Kenworthy said. 'The events that happened in my life very much shaped who I am.'" Read the complete Business Insider article, including Luke's essay! I literally LOVE CollegeVine. The support you provide is unparalleled. It keeps me very calm. Knowing that I have a team of supporters rooting for me every step of the way is SO nice. I really appreciate it. CollegeVine helped me send in the best possible essays that I could write, and I'm certain that without it, I would not be able to come up with creative and interesting topics for my essays. Working with CollegeVine definitely helped boost my potential to get into my top college. My consultant was extremely knowledgeable and gave me great advice. I was particularly impressed with the insider tips for the interview, which helped me tremendously. Overall it was a great experience! CollegeVine helped my daughter manage her stress and increased her confidence during the college application process. They were professional, responsive, and very receptive. It made the whole process much easier on the whole family. Thank you so very much for all the help you are providing to Jeffrey on his college applications! You are teaching him a lot of skills he will be able to use into his college and career for the future as well! Especially I want to acknowledge Varun [Jeffrey’s Applications Consultant] for his tremendous time commitment, patience, strong skills, willing-to-help attitude, and much more! The personalized attention offered by this service is incomparable to any other service out there. This service’s advantage lies in their specialists being able to get to know you better. The specialists are extremely qualified to assist with this process and their ability to relate to current students is invaluable. CollegeVine has helped me plan out my future in high school, and now I have a clear idea of how I'm going to reach my dream college. My mentor has been extremely supportive of me and the program is great. CollegeVine has proved a great help for our teen looking to maximize his college potential. His mentor has been invaluable in influence and able to cut through the noise and hype of finding a good and sensible fit for college. Kudos to everyone at CollegeVine. CollegeVine’s SAT prep service gave me a fresh take not only on the SAT, but also on the way test prep services worked. The starting material was difficult at first, but within days I would get only 1 wrong at most per section. As a result, I walked into test day with almost no anxiety, ultimately earning a perfect score. I would recommend this SAT service to anyone looking for a low-stress yet highly-motivating way to improve his or her score. Your advice on the SAT (try one more take and some tutoring to boost the score) paid off. Josh received a 60 point increase on the October administration! Our son's SAT score went up 100 points after 6 sessions. He is planning on additional sessions before taking the exam again. I would like to thank you so much for working with me in completing my applications for college. You guys have impacted my future for the better, and regardless of admissions results I am forever thankful for that. Thanks for all the late night Skype calls, for answering all of my mom and I's crazy questions, and for collaborating to make the most out of the time I had. Through this journey, I've grown with your guidance. I know it sounds dramatic, but in these past couple of weeks I've genuinely learned a lot about myself and it wouldn't have been possible without your encouragement and advising. 5 months ago, I had to convince my husband that investing in CollegeVine's services would be worthwhile. Last night, for the first time in nearly 25 years of marriage, YOU proved me right. Our Maisy was accepted ED to her top choice: Brown University. We have screamed, cried and celebrated. She is a fantastic, qualified student. But, so are the other 30,000 kids that won't be admitted to this prestigious school this year. I know that the diligent essay editing, interview prep and counseling Alicia and Julia [Maisy’s Applications Consultant and Program Manager] provided were instrumental to this life-altering moment. Thank you so much. I would just like to thank you for the opportunity to participate in the CollegeVine program. It is with the most sincerity that I say I wouldn't have been able to finish applications without the help of this program. Thank you so much to CollegeVine for helping me earn admission to my dream school, The University of Pennsylvania! After I was partnered up with my essay specialist, it did not take me long to notice that he was extremely dedicated to my success. Because he recently graduated from high school, he had gone through the same process not too long ago and understood exactly what I needed. He guided me to create and manage a detailed application schedule, and he always made sure to check up on me. His commitment was evident in his quick replies to emails and willingness to answer any sort of question I had, no matter how busy he was or how late it was that day. I attribute my insight into the college admissions process, as well as my successes in my extracurriculars and exams/testing, largely to the time I spent working with CollegeVine. Over two and a half years, I was able to turn to my contact at CV whenever I needed advice on anything related to high school achievement–applying to summer programs, contacting professors, or even the marginal benefit of another 5 on an AP exam–and was able to make the most effective, efficient decisions to set me up for the college application season, affording me an early action acceptance to my top choice university. CollegeVine was a very valuable tool to have during the application process. My essay specialist got to know me quite well, and with her, I was able to create essays of which I was proud. CollegeVine relieved much of my stress regarding the application process, and I was able to get into my top choice school. I would definitely recommend CollegeVine’s services to all college applicants. Want to learn more about which of our services are right for you? Sign up for a free consultation below. Want fresh insights delivered to your inbox? Subscribe to our newsletter. We'll keep you updated on all things admissions, high school, test prep, and more. © 2019 CollegeVine. All Rights Reserved.